A while back I reviewed a case gauge made by The Shooter’s Box as part of the video we did on loading for 357 Sig. They reached out to me and asked if I would be interested in reviewing another product for them to which I said hell yes! What they sent me was their new 22 rimfire adapter for 12 gauge shotguns. The first thought I had is probably the one going through your mind as you are reading this. “Why would I want to shoot a 22 out of a shotgun?” Well there are 2 reasons I have come up with (actually the 1st one was explained to me by Steve from The Shooter’s Box). 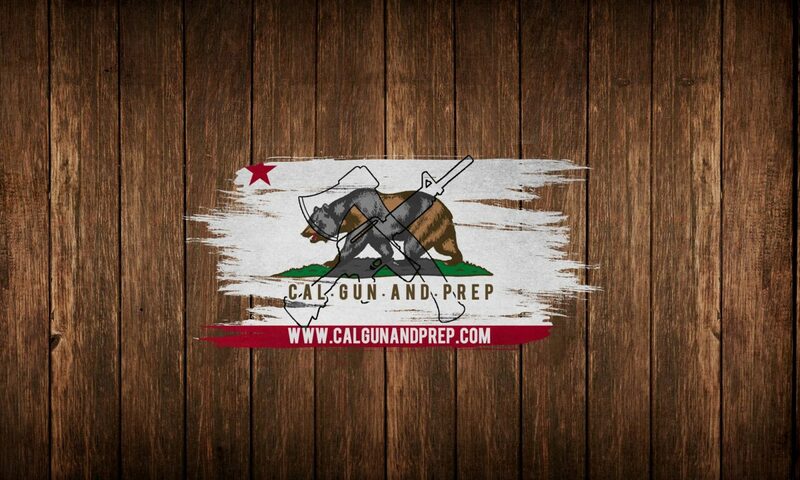 Great for go bags/prepper kits: Think about it. A 22lr is a great gun to have on hand for small game, but is terrible for self defense. A shotgun is great for fowl hunting, self defense, etc. but is terrible for small game. When preparing for the worst, you have limited space to fit gear, so taking both a shotgun and a 22 rifle is probably not possible. With the adapter you don’t need to take multiple guns. For the space of a single 12ga round, you have a firearm capable of shooting both. This also makes changing calibers in the field extremely fast and easy allowing you to adapt to your situation instantly. Training: I have a son. He is not capable of learning how to shoot a 12 gauge yet. The recoil would knock him back to yesterday. However I want him to be familiar with how to shoot a shotgun, not just in how to operate it but also how to aim it. 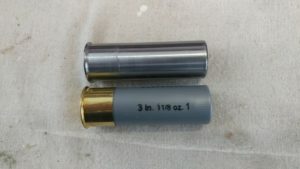 I could get a .410 ga shotgun (I have one) but have you tried to find ammo for a .410 lately? It’s more expensive to shoot than .308 and harder to find than 6.5 Grendel (at least by me). So by converting my 12ga to a 22, he can start to learn on it safely, and cheaply. The next question I had was how accurate could a 22lr be out of a 12ga barrel? I was actually pretty surprised at the results. My son and I were able to consistently hit paper at 15 yards out. Is it as accurate as an actual 22lr rifle? No. But it definitely would do in a pinch. 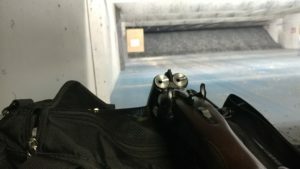 To be honest I’m not that great with my old coach gun as it is, I mean I bought it more for nostalgia purposes than to actually compete or hunt with and it’s meant to throw a bunch of small round steel balls in the general direction of a target so the sights aren’t made for precision shooting either. 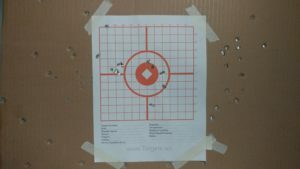 With some practice though and the right kind of ammo, it would not surprise me if you could consistently hit a 2″ group at 15 yards. All in all I think this is a great tool to have in your kit. The flexibility offered along with the efficiency of being such a small size definitely makes it worthy of being in your bag. Plus you also have the added bonus of being able to troll some people at the range.